Your family's athletic scholarship dream can become a reality when you apply the recruiting steps clearly laid out in The Athletic Scholarship Playbook. You're a parent. Your son or daughter is a talented high school athlete. You know they have what it takes to compete at the next level, and you want to see them get recruited by college coaches. You believe they are athletic scholarship material. Or you're an athlete. You dream of being recruited by college coaches and earning an athletic scholarship. But you don't know where to start. You see other athletes in your city receive full rides and you wonder how they got discovered. Did coaches just find them, or is there more to it? 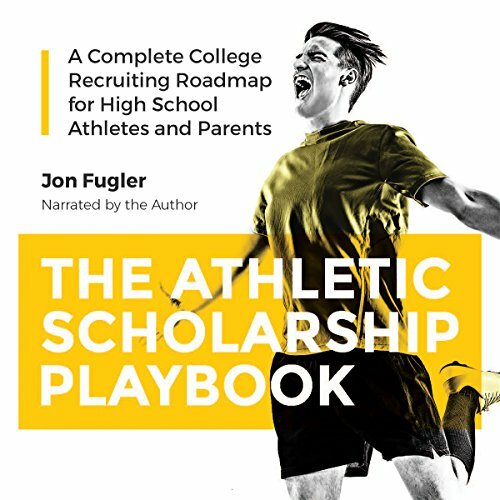 Jon Fugler takes the mystery out of recruiting and athletic scholarships, providing parents and student-athletes a clear, actionable plan. Athletic scholarships are not just reserved for the best athletes in the city, county, state, country, or even team. Every high school athlete who can compete at the next level has a good opportunity for an athletic scholarship. You just need to know the steps to getting noticed and recruited. This playbook is your recruiting road map that will lead you to success, covering steps for all sports, both men's and women's. This complete, detailed, how-to guide covers everything from how to get discovered, how to move up multiple coaches' prospect lists, NCAA and NAIA eligibility and recruiting rules, producing an effective video, choosing the right camps, tournaments and showcases, what to ask coaches so you get the full picture about their program and your status, how to make the final school choice, and much more. Whether you're just starting out or you've been at it for a while, Jon's recruit-me step-by-step approach will empower you to take control of the recruiting process. You'll get results, even begin hearing from college coaches in the next 30 days.